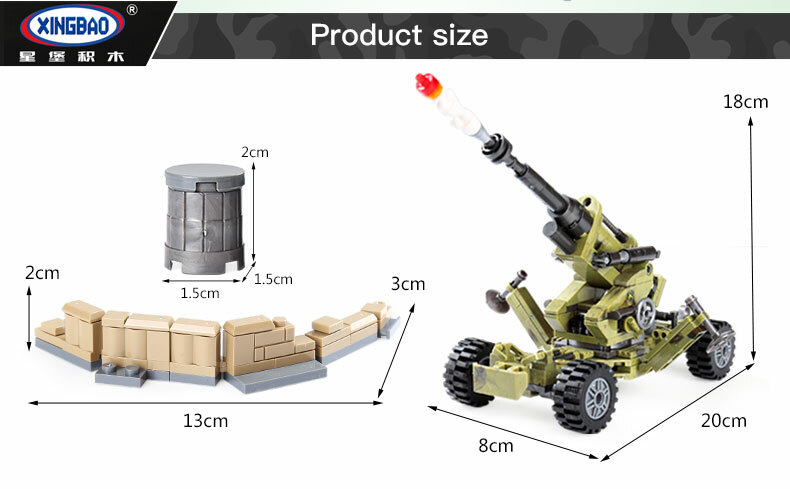 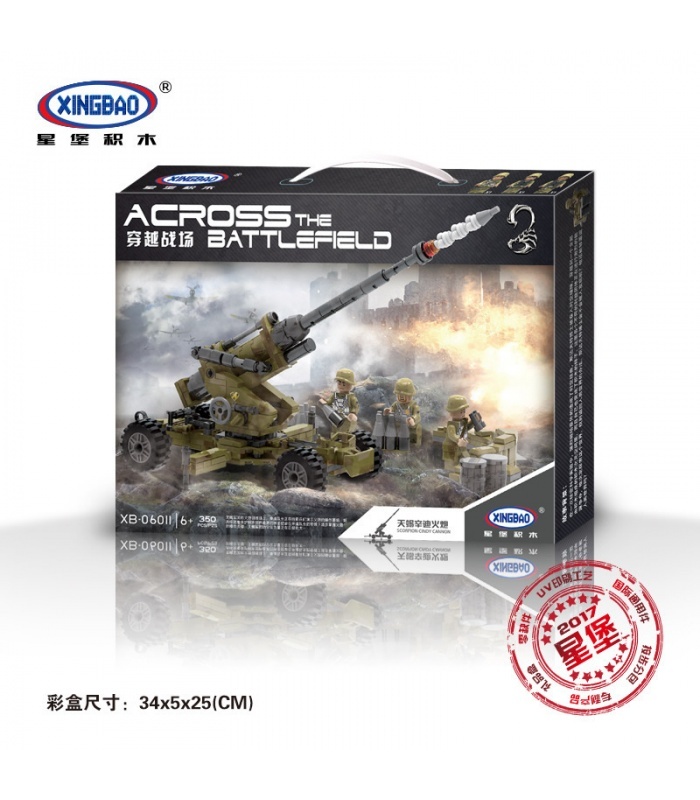 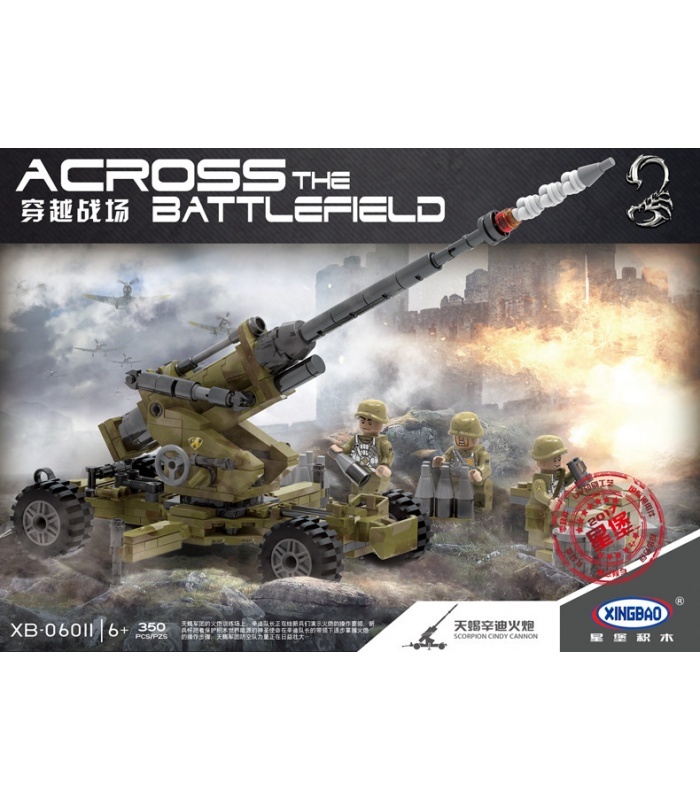 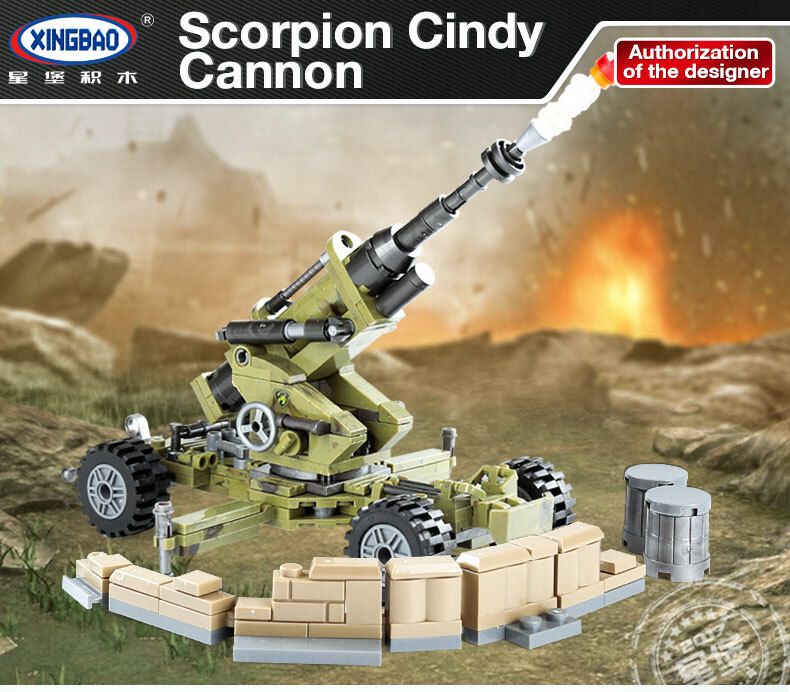 XINGBAO 06011 Scorpion Cindy Cannon is a MOC (My Own Creation) building blocks set which is 100% compatible with all major brands building bricks. 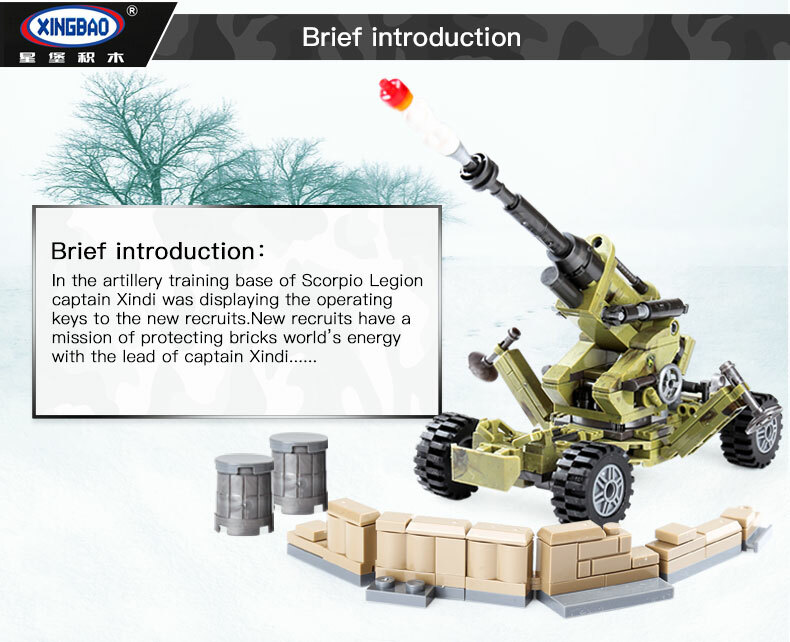 On the artillery training ground of the Scorpio Corps, Captain Cindy is demonstrating the operational skills of the artillery to the recruits. 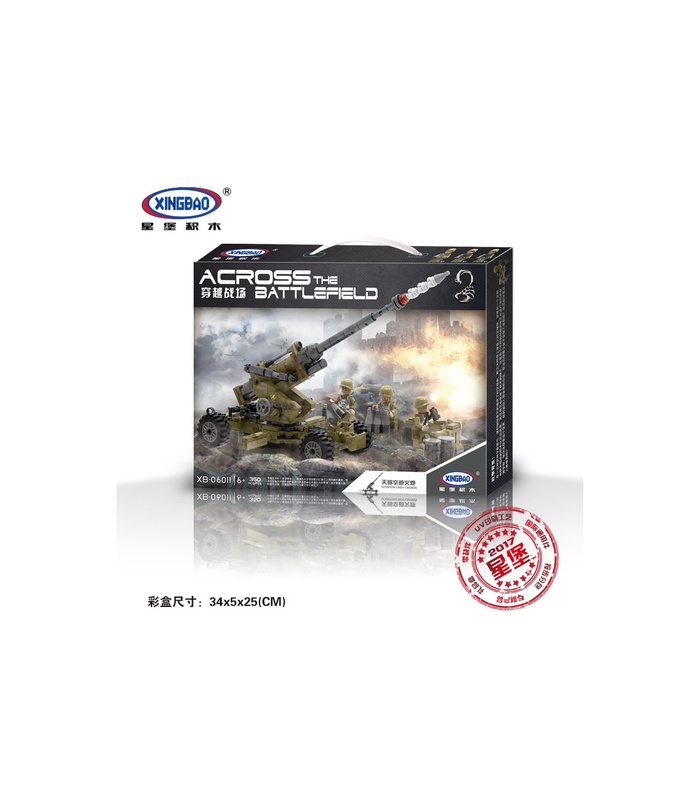 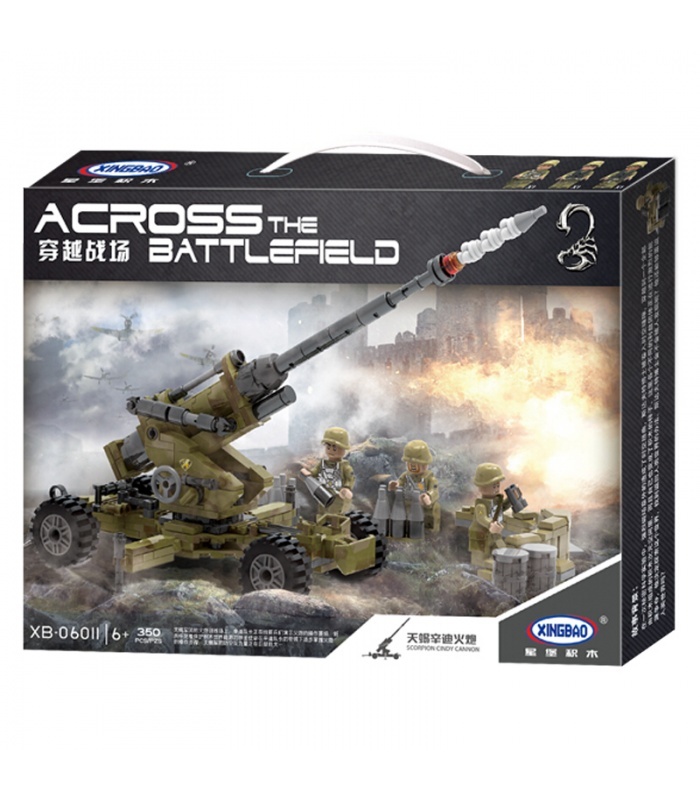 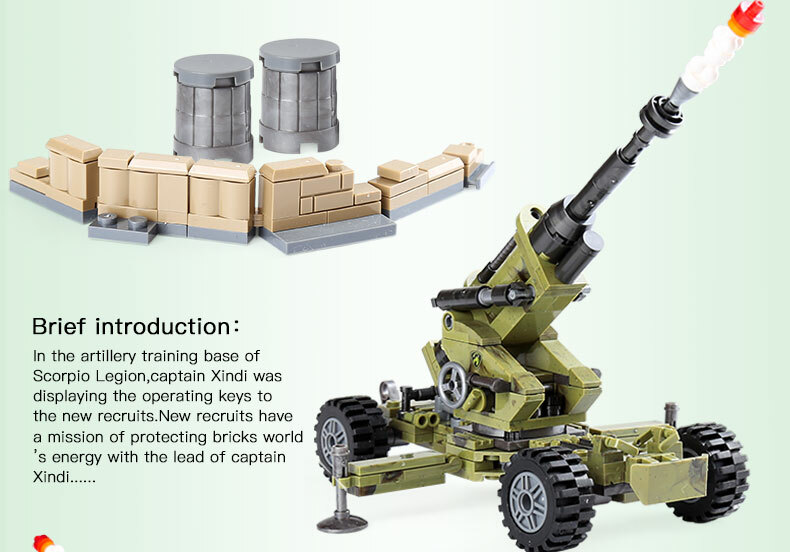 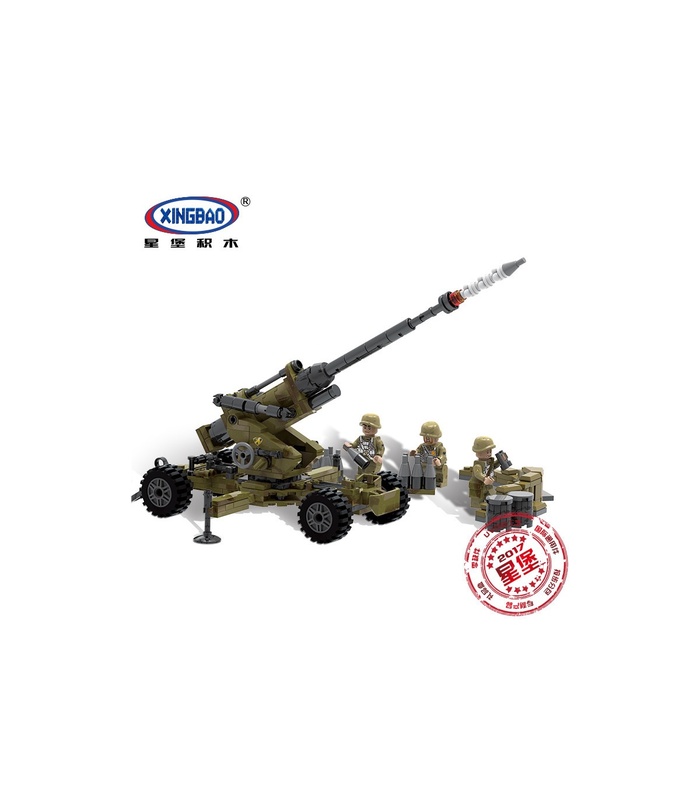 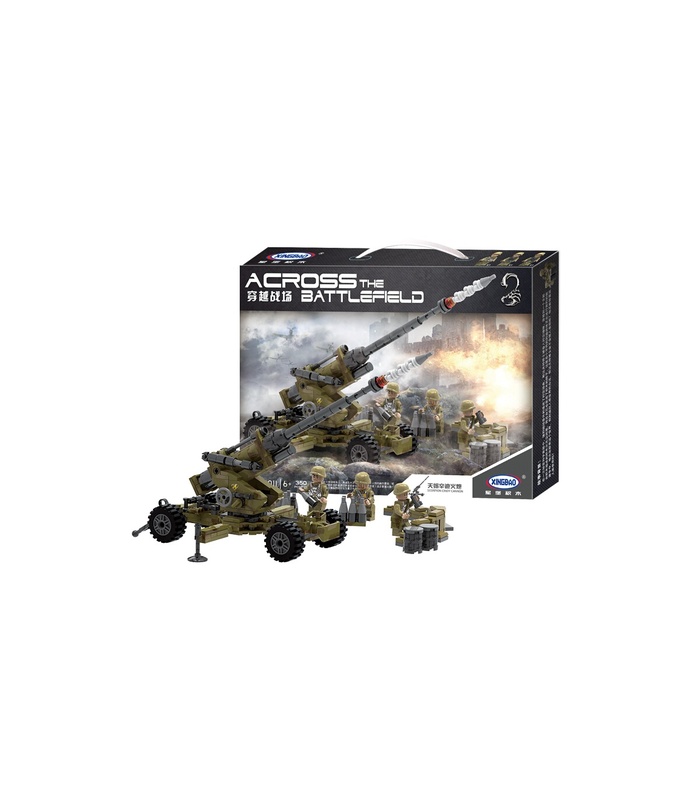 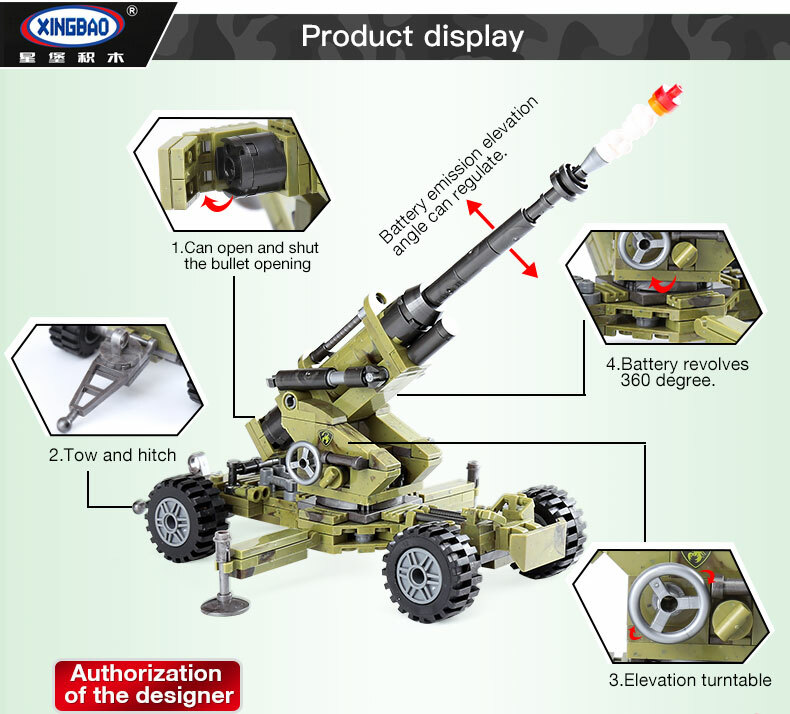 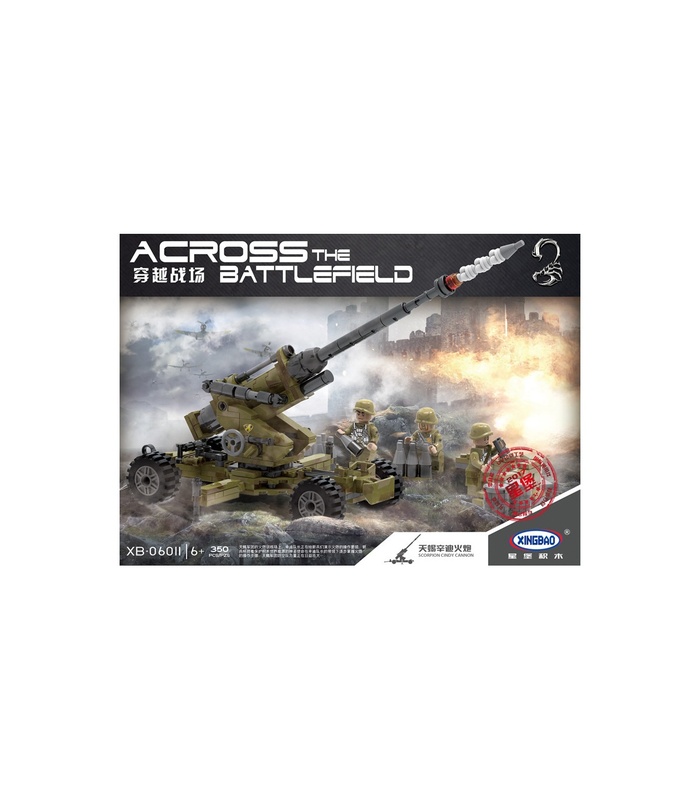 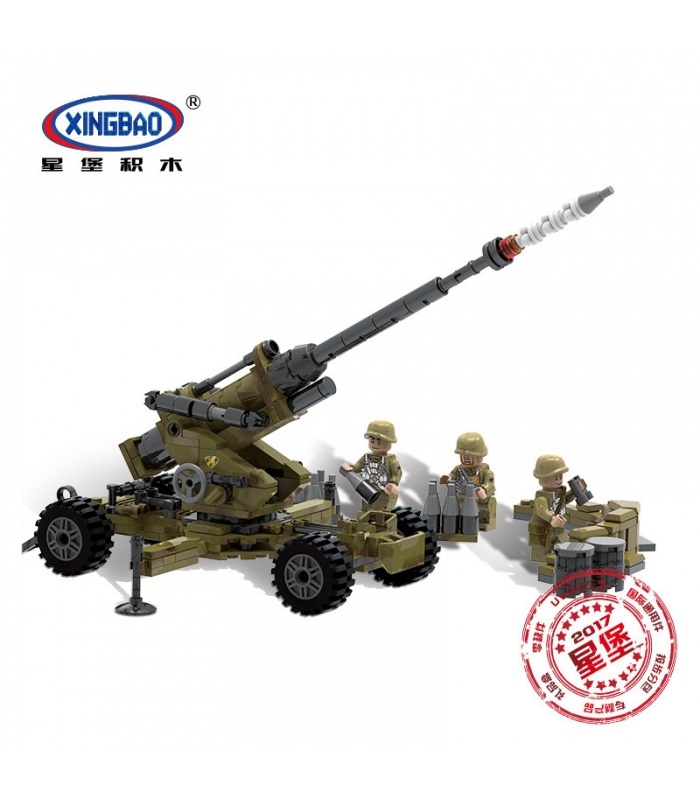 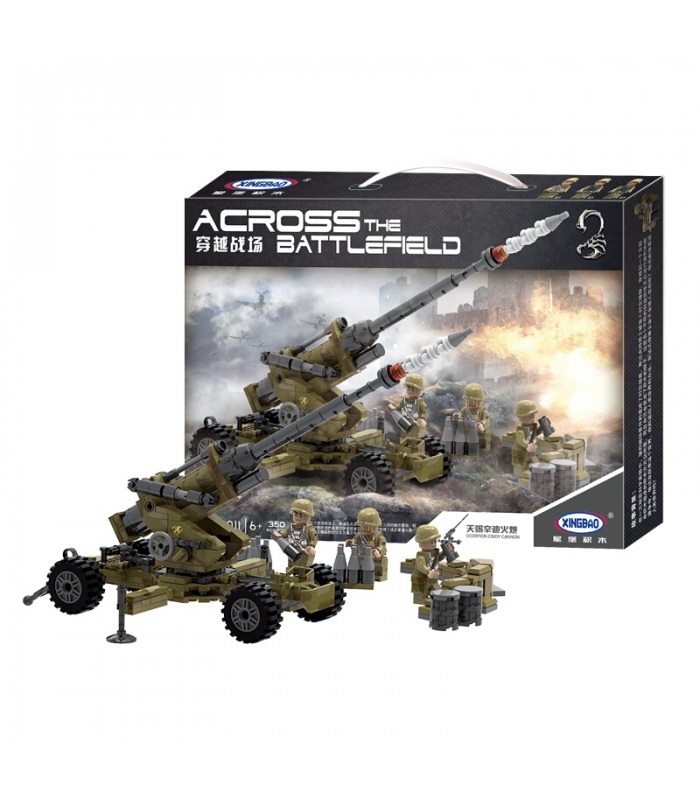 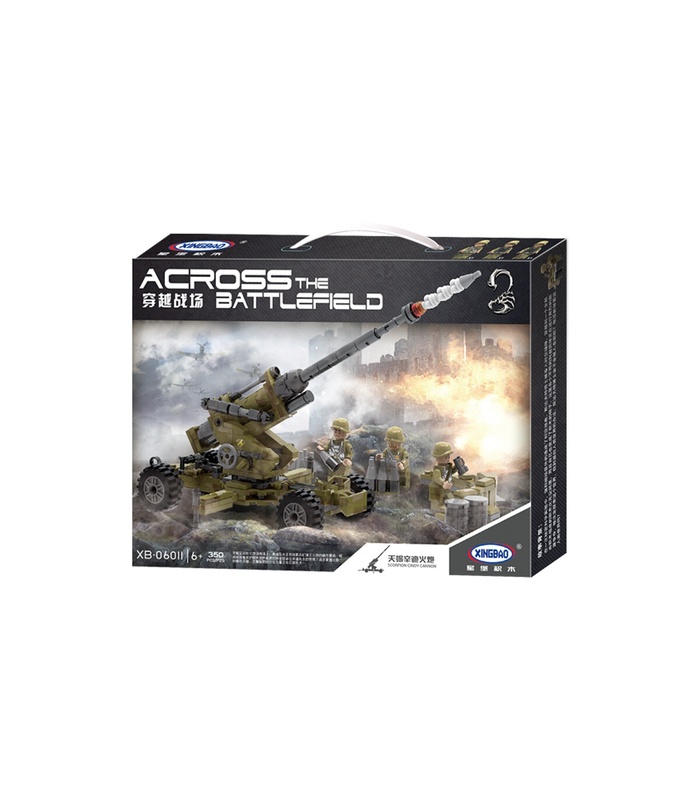 With the mission of protecting the world of energy in toy building blocks, the recruits gradually mastered the operational steps of the artillery under the leadership of Captain Cindy. 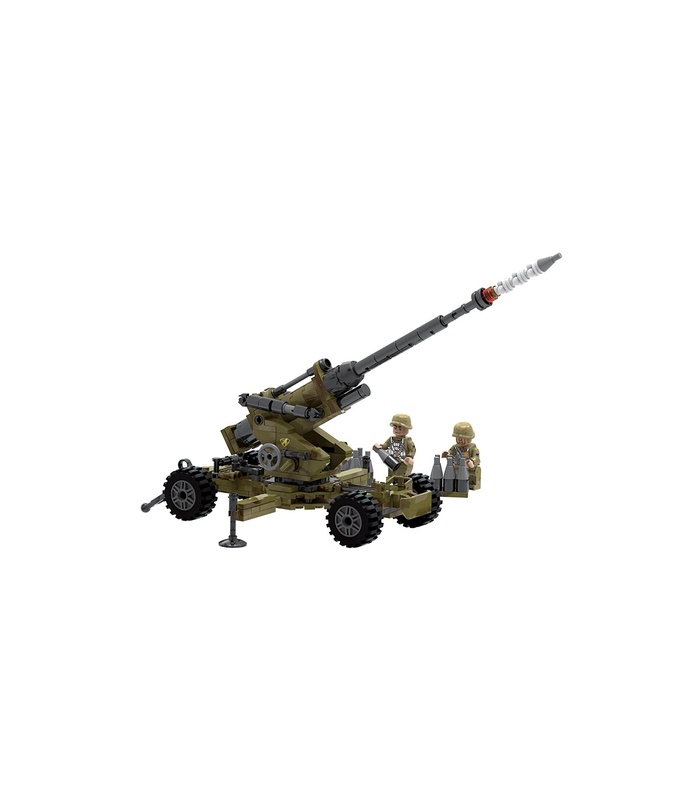 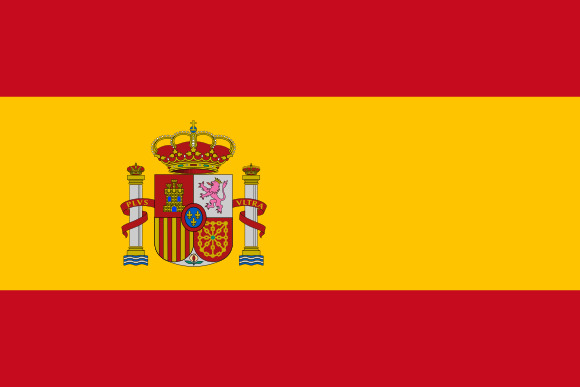 The strength of the Scorpio Air Defense Team is growing. 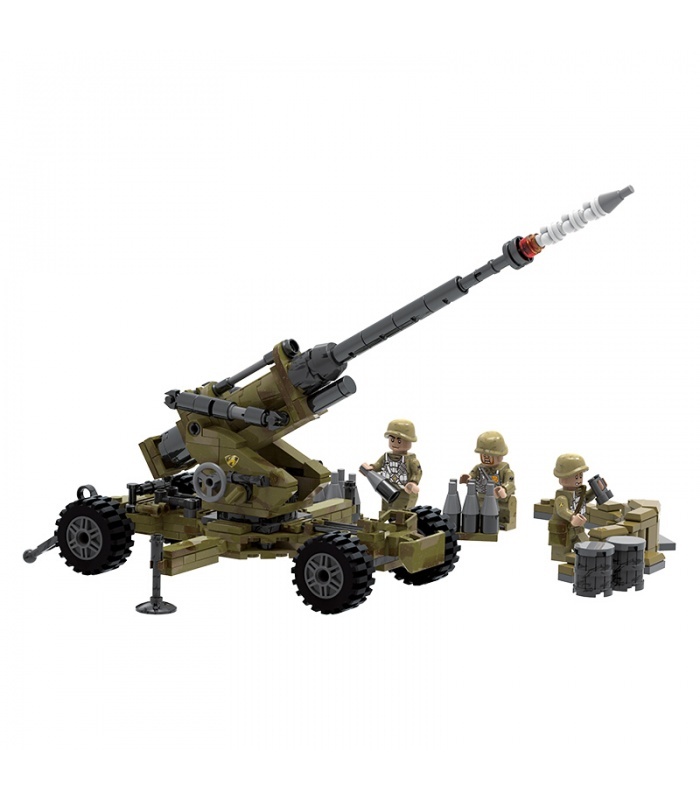 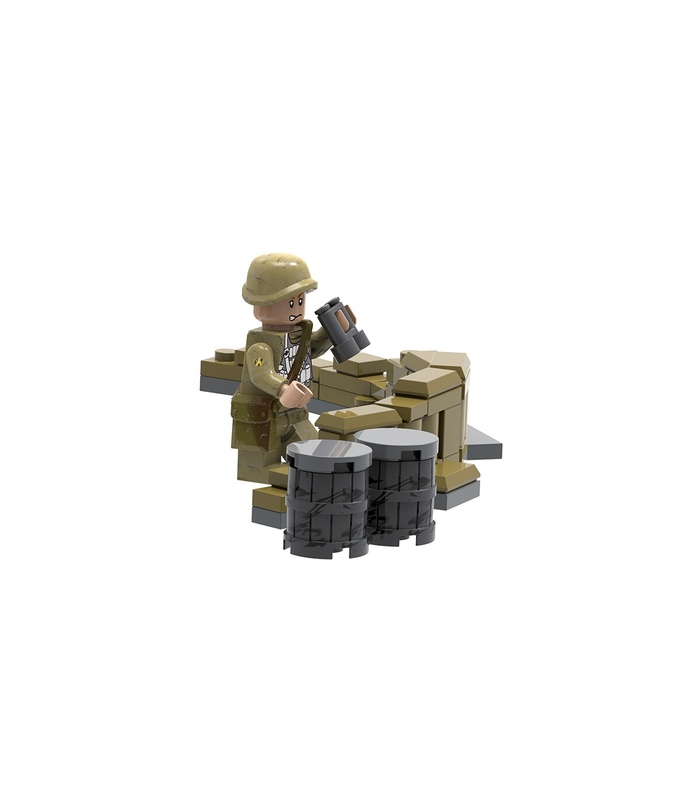 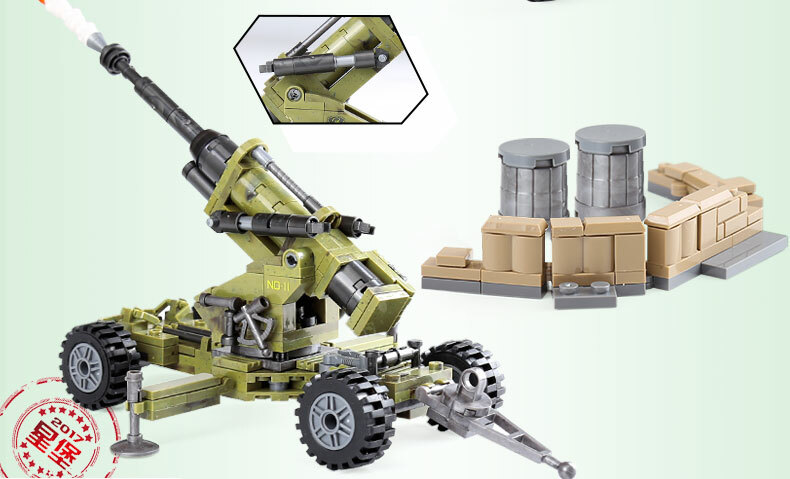 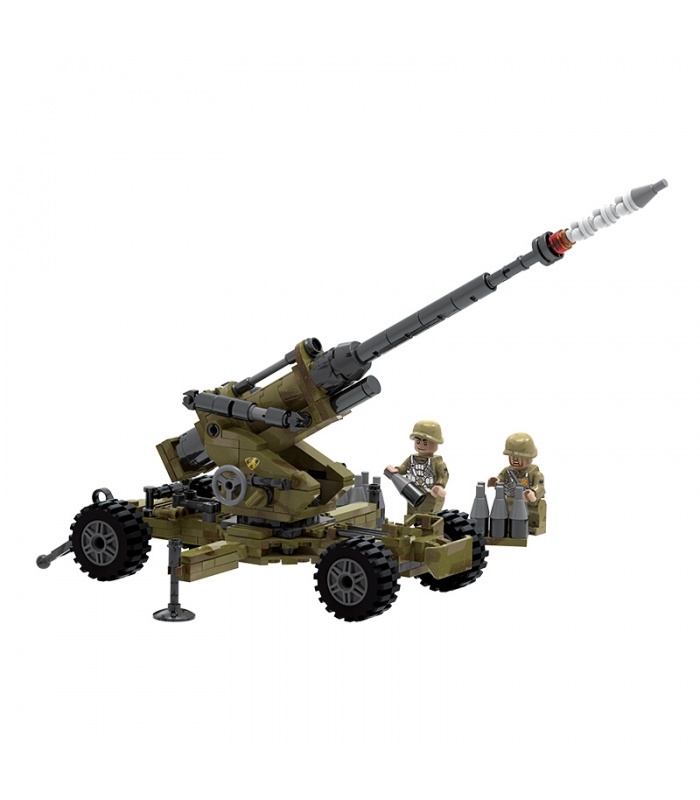 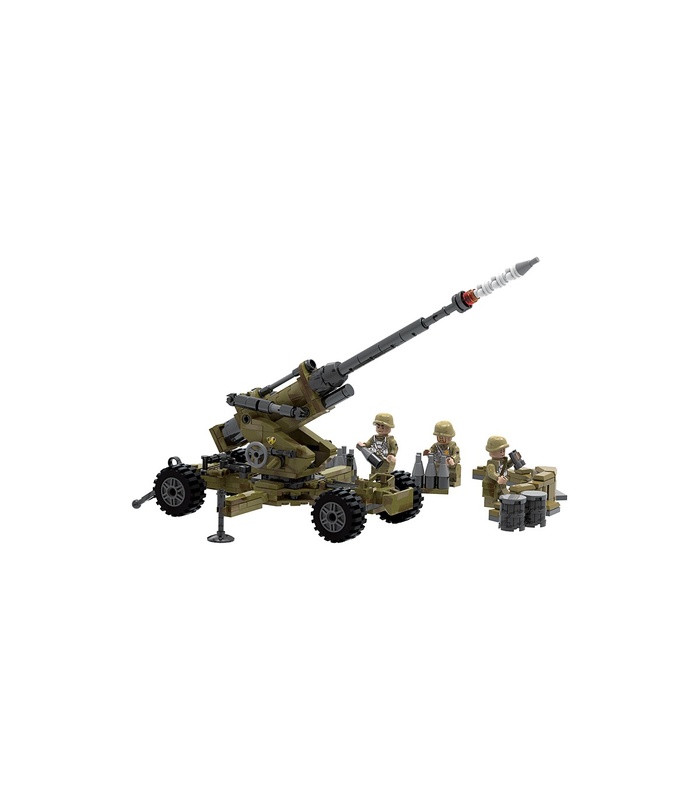 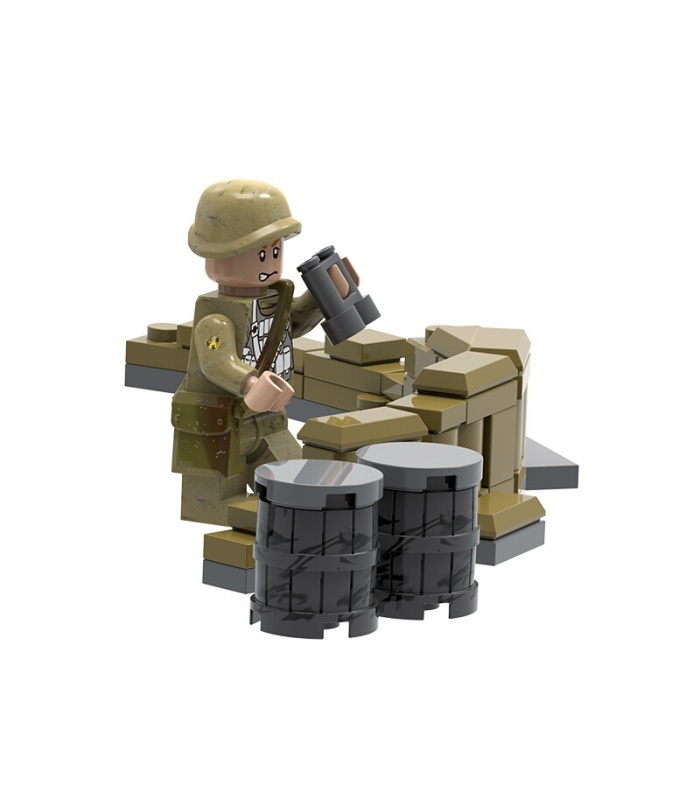 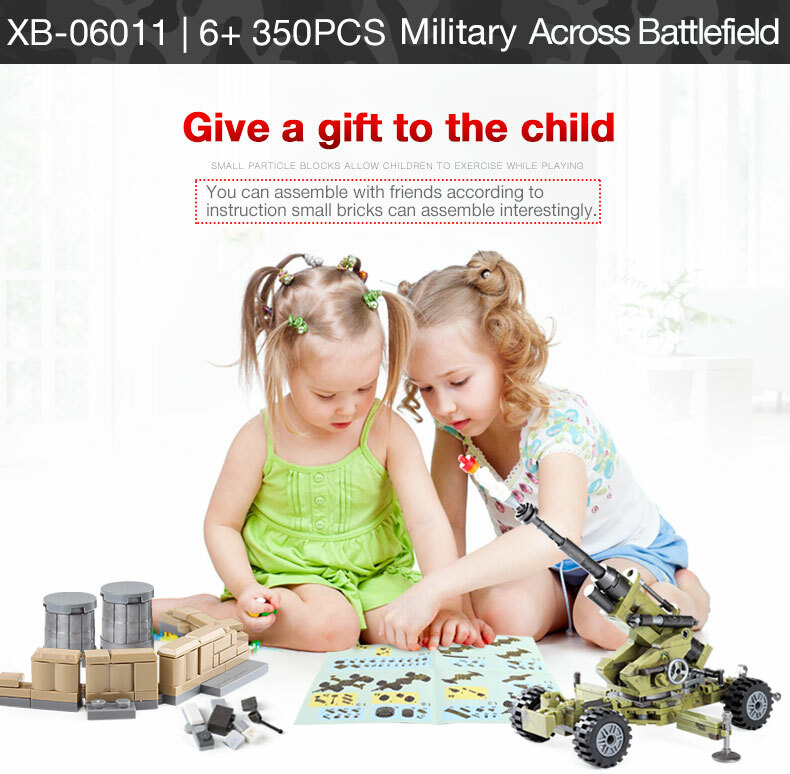 • This set is compatible with brand bricks and contains over 350 pieces.